So first day of new temporary job was yesterday. Absolutely loved it. Feeling pretty shattered - so much to take in and learn. I even conquered my fear of phones to call some parents to chase up some kids' absences! 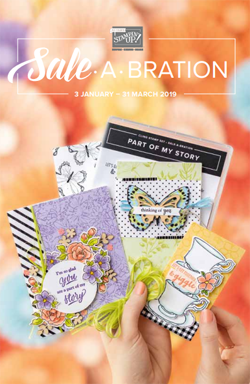 Just wanted to remind you there's only a week more days left of Sale-A-Bration! If you want to get some (or even MORE) of the gorgeous SAB goodies, you don't have long left to put your order in! If you live local to me you can place an order through me - I'll be putting an order in on 31st so email or call with your order and I'll be sure to add it. Alternatively if you live a little further afield, you can order online from my shop. 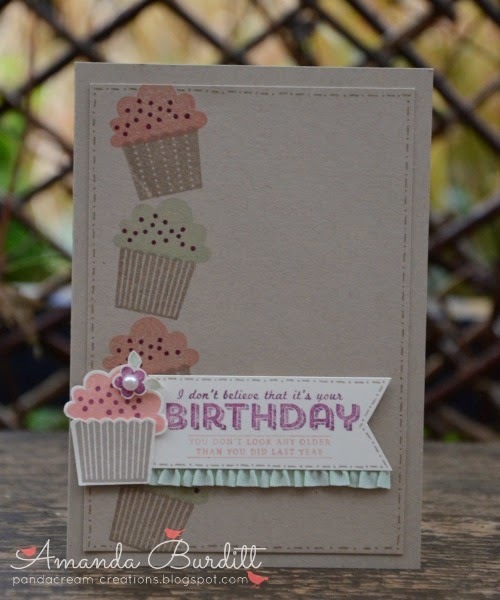 I cracked out another set that's been gathering too much dust of late - Create a Cupcake! Such a sweet, yummy set! 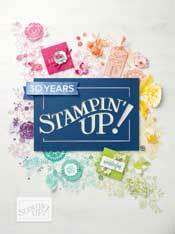 I used the stamp-a-ma-jig to get the cupcakes perfectly aligned in the background. Love how different the cupcakes in the background look to the popped up one by just stamping them on different coloured card! If you don't like fussy, intricate cutting the punch is a total gem! 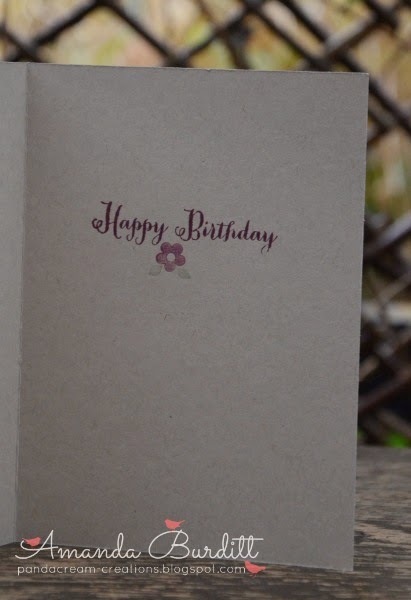 I did add the flower which I hand cut but you could add a candle or cherry that comes on the punch instead! 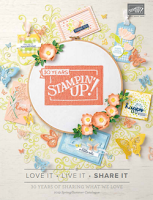 Just a little quick stamping inside to pretty up things a little more! Not sure where I got the idea of this colour combo, but it kinda works. The razzleberry really stands out amongst those pastels and neutrals. What do you think? Like the combo? No I'm off to do some baking, tidying, a little crafting and then hit the hay! Thankful for a better night last night, I didn't sleep well Thursday, it was really disturbed and I seemed to have nightmare dreams about being chased....oh dear! This is wonderful! 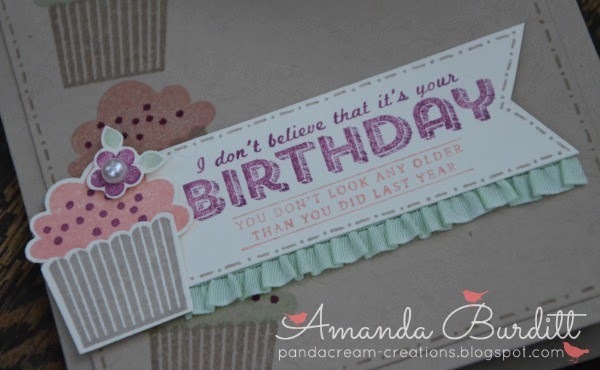 The ruffled ribbon looks terrific on this! So glad the new job is going well!